Born to a dancing family in Vancouver, BC, Lisa began her performing roots as a dancer, training with her mother and sister in Chinese dance and ballet. 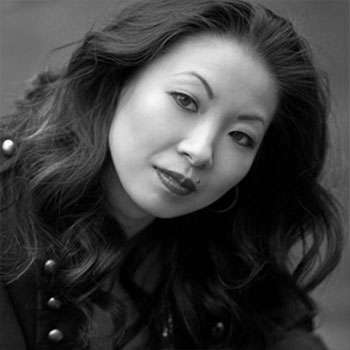 Lisa is now an established dancer, singer, actor and choreographer based in New York City, who’s career has spanned a wide spectrum of arts from musical theatre to Chinese contemporary dance. Most recently, Lisa was an original cast member of the Tony Award Winning show Shrek The Musical. Also to her name are notable credits such as A Chorus Line on Broadway, Mamma Mia! in Toronto, and regional productions of Miss.Saigon, High School Musical and The King and I. Film and TV credits include Once Upon A Mattress, Deep Rising, The Score, The Annual Tony Awards, Live With Regis and Kelly, and The Early Show. Lisa has worked with influential choreographers and directors such as Kathleen Marshall, Josh Prince, Rob Ashford, and Crystal Pite to name a few. As former principal dancer of the Strathcona Chinese Dance Company, Lisa has toured internationally to Greece, Poland, China, France, and the U.S.A. Since 2010, Lisa has held the position of the associate artistic director for the Vancouver based Chinese dance troupe. Lisa is an Associate of the Royal Academy of Dancing and holds a Bachelor of Kinesiology from Simon Fraser University. She is a highly sought after dance educator and has guest taught at numerous schools and colleges across North America. Lisa currently serves on the board of directors for the Vancouver based contemporary dance company, MOVE: the company and on the board of directors for the Maria Mimie Ho Foundation, which aims to promote and preserve Chinese culture while providing opportunities for youth.